Our bodies store carbohydrate in the form of glycogen in two main areas; our liver and our muscles. The liver stores approximately 100 grams of glycogen, while our muscles can store ~ 500 grams of glycogen. The rationale for eating before a race is to replenish our liver glycogen stores (which we later use during exercise). During the night before our race, the body’s blood glucose concentration is kept within normal range by releasing glucose from the liver. When we eat, we produce insulin in response to the carbohydrates in our diet. Insulin moves glucose into all of our tissues. However, when we exercise, GLUT 4, a transporter protein is incorporated into the surface of muscle cells and allows our muscle tissue to take up glucose without requiring the normal insulin concentrations. Exercise with high concentrations of insulin will move glucose into cells just when we actually need to fuel working muscles which can then result in a drop in blood glucose concentration leading you to feel light headed or sluggish. You should therefore eat enough to replace the liver glycogen and early enough for the insulin levels to return to normal. An easily digestible food source is ideal so that there is nothing sitting around in the stomach and small intestine when we start racing. Muesli and uncooked oats, nuts, seeds etc. 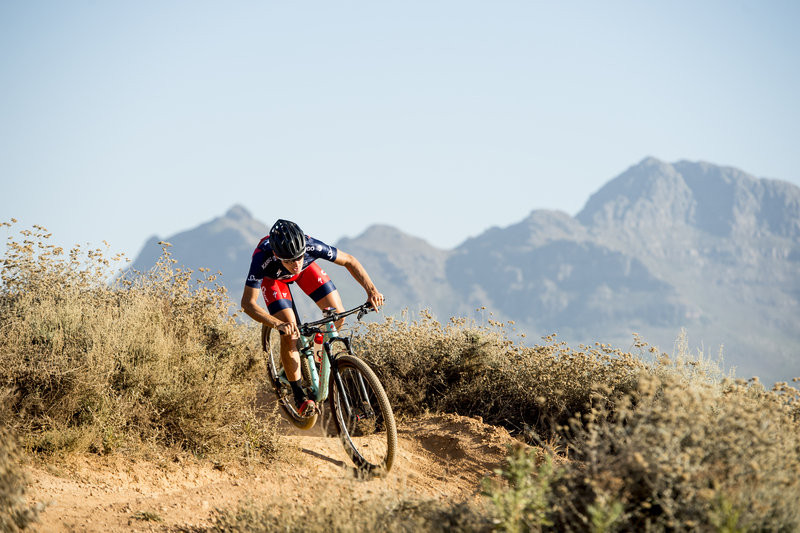 can take 8-12 hours to digest and are therefore not the right meal UNLESS you are doing a stage race (in which case you are eating for the stages to come as well). Eat about 2 slices of white bread (toasted or not) with jam or honey (not peanut butter or oily stuff) and add a banana and 500ml of energy drink or recovery drink. Trying out supplements is also a good idea. You can also eat a bowl of pasta, but without too much meat (which will slow down digestion). You should ideally finish eating approximately 1.5 – 2 hours before the race. Anxiety about the race may cause prolonged gastric emptying. If this is the case, reduce the amount you are eating and start to eat earlier. You should not eat again until you have started your warm-up. This should be about 45 minutes before the race. 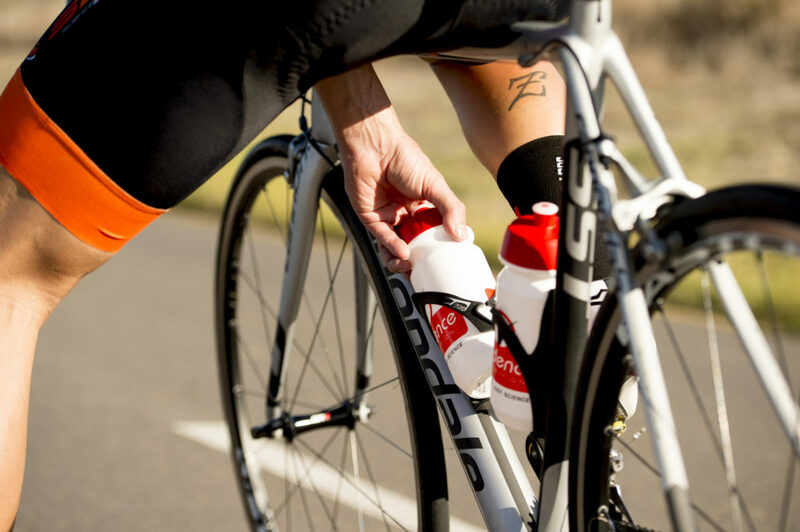 Once you are on the bike, then it is safe to start eating and drinking again as your insulin levels will stay low in response to the exercise. That said, one study could not demonstrate any detrimental effect to eating shortly before commencing exercise. Consuming some carbohydrate shortly before the start will result in the absorption and delivery of maximal rates of exogenous carbohydrate (external sources of energy) from the start of the race, otherwise you are having to use your liver and muscle glycogen stores (endogenous sources) to fuel exercise and this will only last for approximately 90 minutes of strenuous exercise before you deplete liver glycogen stores, resulting in premature fatigue. 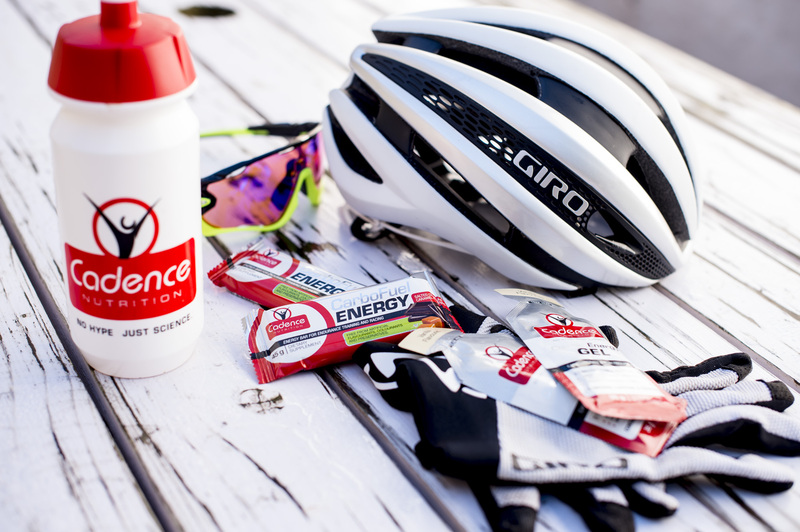 Drink about 300-400mls of energy drink and eat 1 energy gel in the 30 minutes before the start. Carbohydrates are substances composed of the basic building blocks of sugars – glucose (dextrose), fructose and lactose. These are called monosacharides. By adding any more monosacharides you get complex carbohydrates like maltodextrin. The longer the chain, the lower the glycaemic index (longer digestion and absorption time). Short chains of glucose molecules are known as maltodextrins. They can be as short as three glucose molecules or many more. How does this all have any relevance? Monosacharides and disacharides are very easy to absorb (monosacharides do not need to be digested and get absorbed by the stomach and first part of the gut (duodenum). Disacharides are digested by saliva and secretions from the stomach and are therefore also digested rapidly. The problem with monosacharides and disacharides are that they are very sweet. Monosacharides such as fructose and glucose being the sweetest. This can make solutions with high concentrations unpalatable, especially during hot conditions. They also have very high osmolality (high molecule to water ratio). This delays the emptying of the stomach contents and absorption. High osmolality can also cause nausea and stomach upsets. Maltodextrins are short chains of glucose molecules that are easy to digest and therefore available almost as rapidly as mono or disacharides. Despite being composed of sugars, they are not sweet. They are also less osmotically active (each chain acts as a single molecule despite being composed of a long chain of sugars). This results in a more rapid emptying of the stomach contents and also makes them less likely to cause stomach upsets. The rapid stomach emptying means that they often deliver glucose more rapidly than solutions containing monosacharides alone, despite the fact that they need to be digested into monosacharides before being absorbed. Fructose is a monosacharide that cannot be used by muscle (glucose is the only sugar that can be absorbed by muscle cells). To be of any use it first has to be delivered to the liver where it is converted to glucose in a process called gluconeogenesis. The glucose is then transported to the muscle where it is used. However, fructose is transported across the gut wall through it’s own transporter (GLUT-5) while the other monosacharides compete for limited transporters (S-GLUT-1). Ingestion of a mix of glucose and fructose can increase the rate of carbohydrate absorption by 50% in comparison to drinking sugars containing only glucose or galactose or a mix of these two. Getting the right mix is quite a complex exercise. The first factor is the rate at which the stomach delivers any ingested substance to the small intestine for absorption. At low carbohydrate concentrations (3g/100ml or 3%) gastric emptying and fluid absorption are the greatest but as the carbohydrate content increases, the gastric emptying rate gets progressively lower. Although the emptying rate is slower with higher carbohydrate concentrations, the increased carbohydrate concentration will deliver more carbohydrate to the small intestine. This reaches a peak at about 8-10% solutions (8-10g of carbohydrate per 100ml), which is the concentration of most commercial energy drinks. Fluid absorption and gastric emptying also peak at about 500ml of fluid per hour. Any more than that and the remainder will just pool in the gut, weighing you down and making you nauseous. Interestingly, Coca-Cola is approximately 8% carbohydrate. However, most of the carbohydrates in Coke are in the form of glucose and sucrose (a mixture of glucose and fructose) which makes it sticky and sweet compared to commercial drinks. However, if there is nothing else available, Coke is a good substitute. How much carbohydrate you need depends on the exercise duration. 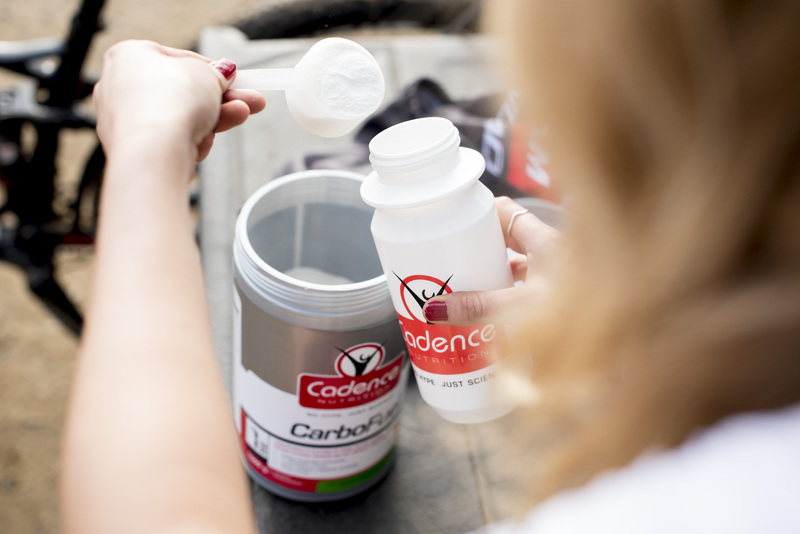 During shorter races such as time trials there is still a benefit to ingesting carbohydrate as there are receptors in the mouth that sense carbohydrate, reducing perceived exertion and improving performance. The longer the duration of the race, the greater the rate of carbohydrate ingestion should be. For races longer than 2 hours you should aim to ingest 60-90g per hour. Only exceed 60g per hour if the mix contains approximately 1/3 fructose as you will otherwise be unable to absorb all the carbohydrate, leading to gastro-intestinal distress. 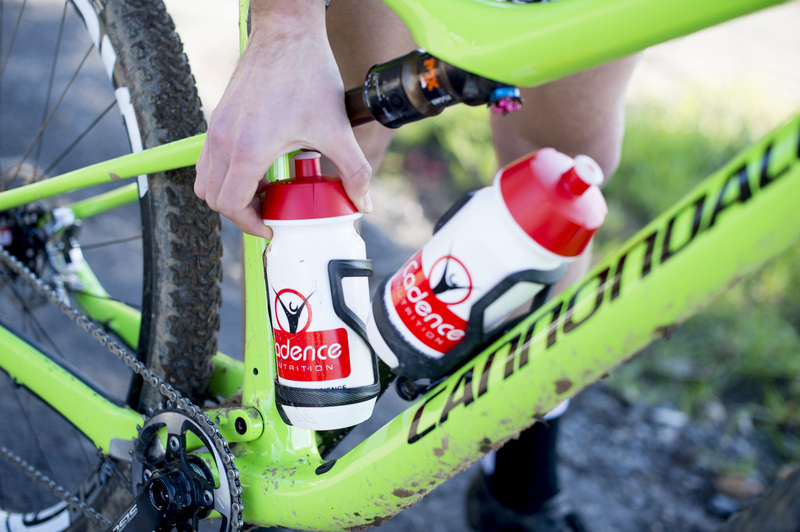 Finally, the addition of approximately 10-15% protein to beverages improves performance in subsequent exercise (so only useful in stage races or during hard training weeks) and also reduces post exercise muscle damage. Drink 250-500mls per hour of a commercial energy drink. If it is hot and you feel like drinking more, then take up to 600mls per hour or otherwise drink a little water. Do not drink too much as it cannot be absorbed and will just weigh you down. Rather throw water over your head, back and legs to cool you down. Drink 500mls of commercial energy drink. Preferably a mix containing 2/3 maltodextrin and 1/3 fructose. This will deliver up to 50g of carbohydrate per hour. To increase this to the maximum of 90g per hour, consume energy gels or energy bars to make up the difference. If you start to feel hungry, eat an energy bar or some other easily digestible but more solid form of food. After exercise, the enzyme responsible for restoring carbohydrate stores, glycogen synthase, is very active in the first hour. Ingesting carbohydrates (1g/kg body weight) soon after exercise is therefore far more important to the recovery process than ingesting protein. NB! If you wait too long before you take your recovery drink, then glycogen synthase will not be as active. As a result, some of the carbohydrates that you eat will be absorbed by fatty tissue and converted to fats. Your muscle glycogen stores will also not be restored optimally. You will then start the next training session or stage with lower glycogen stores than optimal. ALWAYS take your recovery drink immediately after finishing a session. If you want to lose weight, then avoid eating later on, but not in the immediate post ride period. Some studies have shown that caffeine accelerates glycogen synthesis after exercise. In one study, the subjects who were given a LOT of caffeine with the energy drink after exercise had 50% higher glycogen stores the following day. However, caffeine can prevent you from sleeping and recovering so experiment with lower doses first. Ingesting protein immediately after exercise (0.3g / kg body weight) can turn off or reduce the catabolic process, sparing muscle mass and connective tissue. This has led to manufacturing companies promoting the use of protein recovery drinks, sometimes containing only protein and no other macronutrients. Drink 400-600mls of chocolate milk or a commercial recovery drink mixed as indicated in the first 45min after a training session. 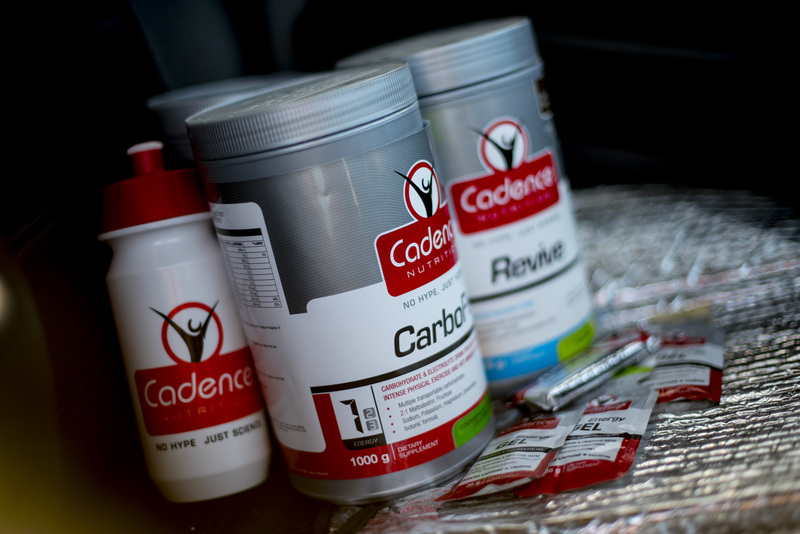 Consume 200mg of caffeine with the recovery drink if it is a stage race or if you have done a hard session.